Scooby-Doo! 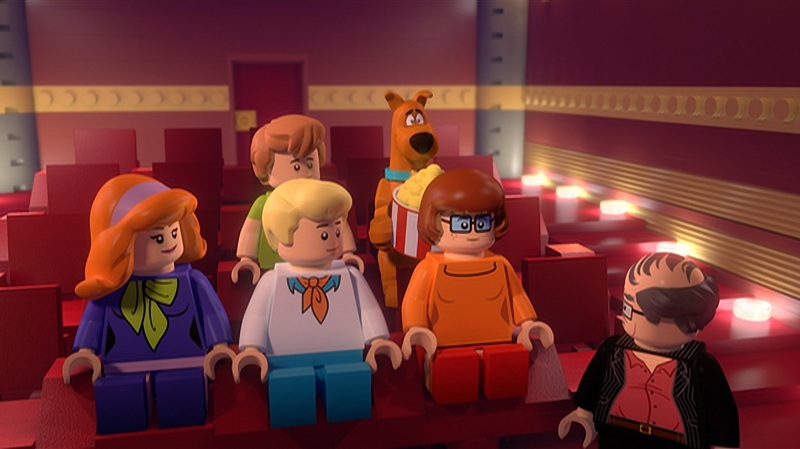 characters come to life in LEGO® form in LEGO® Scooby-Doo! : Haunted Hollywood, a brand new animated film available May 3, 2016 from Warner Bros. Home Entertainment (WBHE). Get ready for hilarious hijinks in Tinseltown as Scooby and the gang head to Hollywood where they visit a legendary motion picture studio that’s haunted by movie monsters from classic old films. LEGO® Scooby-Doo! : Haunted Hollywood will be sold in a Blu-rayTM combo pack, which includes a Digital HD copy and retails for $24.98 SRP and on standard DVD (retailing for $19.98 SRP). The Blu-rayTM and DVD releases will include an exclusive LEGO® Scooby-Doo! minifigure, while supplies last. To top it off, the Mystery Inc. gang discovers that the studio’s backlot is haunted by the ghost of Boris Karnak, a famous, old-time movie actor who has been making ghostly appearances in the roles he once made famous – including the Headless Horseman, the Mummy and the Zombie. The ghostly sightings have frightened away the cast and crew of Brickton’s latest film production, which was the studio’s final effort in trying to save the company from going under. Now with production halted on the movie which was supposed to rescue Brickton from its demise, it looks as though the famous backlot is destined to fall into the hands of the developers after all. Will it be a wrap for Brickton or will Scooby and the gang find a way to help the studio achieve box-office success? It’s a “bricktacular” adventure no Scooby-Doo! fan will want to miss! · LEGO® Scooby-Doo! 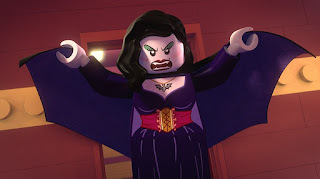 : Knight Time Terror – The gang investigates a mansion that’s rumored to be haunted in this LEGO® Scooby-Doo! episode, which originally premiered on Cartoon Network in October 2015. · Headless Horseman of Halloween – In this episode from the Scooby-Doo! Dynomutt Hour, Scooby and his pals go to Sleepy Hollow, where they investigate the legendary Headless Horseman. · Creepy Kreeper (“Jeepers, It’s the Creeper”) – In this episode from Scooby Doo, Where Are You! the gang investigates a zombie-like creature named the Creeper, who robs banks at night. My son has a number to the LEGO Scooby Doo sets, so it was fun for him to see these toys come to life! I loved the animation and watching the LEGOs crumble and fall apart if broken. It totally looked like real LEGOs. I also found it funny that when they built a LEGO jail by assembling pieces that the bad guys couldn't get out. Not only does this movie tie into the LEGO sets, but also a throw back to some of the classic Scooby Doo movies and TV episodes! This featured classic bad guys: Headless Horseman, the Mummy and the Zombie. The Scooby Gang also got to try their hand a new jobs like acting, directing and not just being super sleuths! 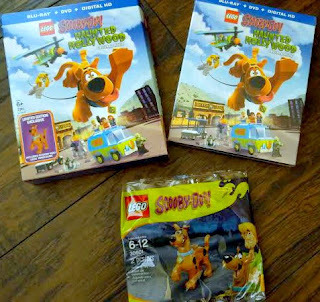 Purchase Lego Scooby - Haunted Hollywood Blu-ray Combo pack on Amazon for $16.99 & FREE Shipping on orders over $49. This is a great movie for Scooby fans and LEGO fans alike! The Digital HD version of the movie included with the Blu-ray combo pack is Digital HD with UltraViolet. Digital HD with UltraViolet allows fans to watch a digital version of their movie or TV show anywhere, on their favorite devices. Digital HD with UltraViolet is included with the purchase of specially marked Blu-ray discs. Digital HD with UltraViolet allows consumers to instantly stream and download movies and TV shows to TVs, computers, tablets and smartphones through UltraViolet retail services like CinemaNow, Flixster, Target Ticket, VUDU and more. For more information on compatible devices go to wb.com/ultravioletdevices. Consult an UltraViolet Retailer for details and requirements and for a list of HD-compatible devices.